Similar to a novel that has a synopsis, a marketing plan also utilizes a summary. This allows the reader of the document to gain background information as well as familiarize himself with the topic before he proceeds reading the entire content of the marketing plan. Marketing plans are not documents that are created and read only by individuals within the organization, but they are also given to external stakeholders for various reasons. 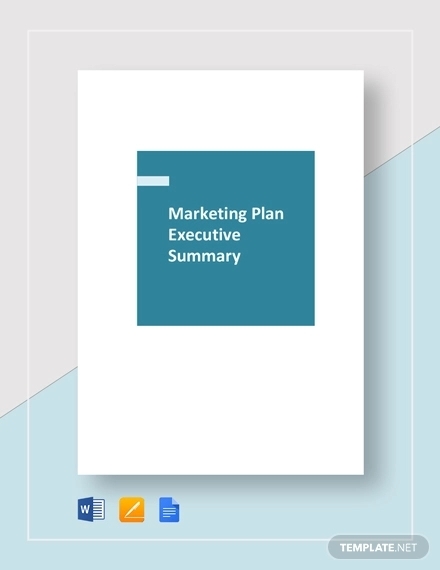 To assist you in creating a marketing plan executive summary for your own business organization, here are some examples (in PDF format) as well as tips in writing one. An executive summary is not just a summary and plays an important role in any business plan, specifically a marketing plan. 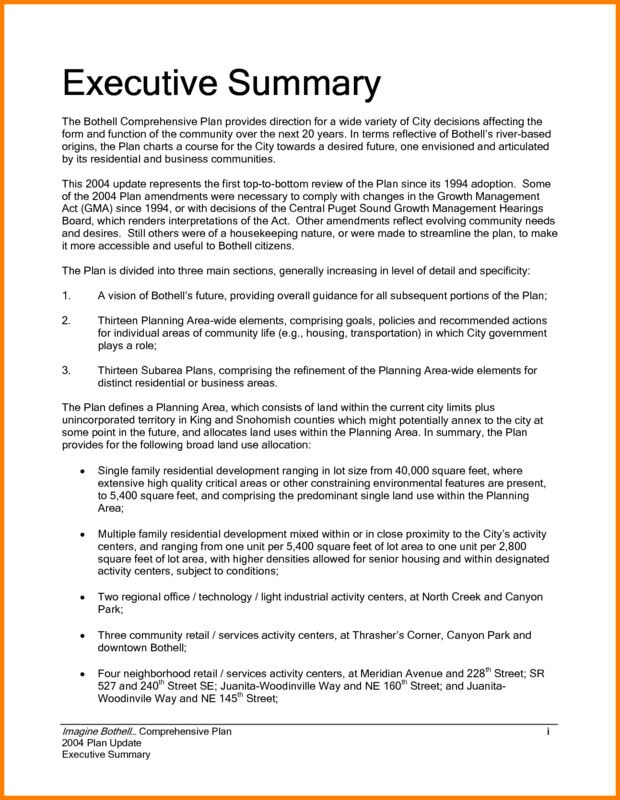 As previously mentioned, a marketing plan is not only created and passed around the people in the same organization but is also being handed out to numerous stakeholders. One main reason why marketing plans are being read by individuals or companies outside the organization who created the said marketing plan is for investment purposes. Any type of business does not only need investment to survive but also to expand operations. Unfortunately, investors don’t have time to read an entire marketing plan to come up with a decision to invest or not. So they rely on two things: the executive summary and the explanation by the individual or organization who created the simple marketing plan. Investors will be reading the summary beforehand, but will then be relying on a detailed and thorough explanation before they make a final decision on the investment. Another reason why an executive summary is necessary for any marketing plan is to simply avoid confusion. This is true if the organization has previously created a number of marketing plans in the past, and an executive summary helps distinguish one marketing plan from the other. You may also see business marketing plan examples. So do you how write an effective executive summary? Creating an executive summary does not really take too much effort, but incorporating the wrong information and using a writing style that is not approved by executives and investors will only cause negative results for the entirety of your marketing plan. You may also like restaurant marketing plan examples. There are two methods to consider when creating an executive summary. Both methods allow you to use a guideline when you will be creating your own executive summary. Both methods are similar and you can even incorporate both in your executive summary. 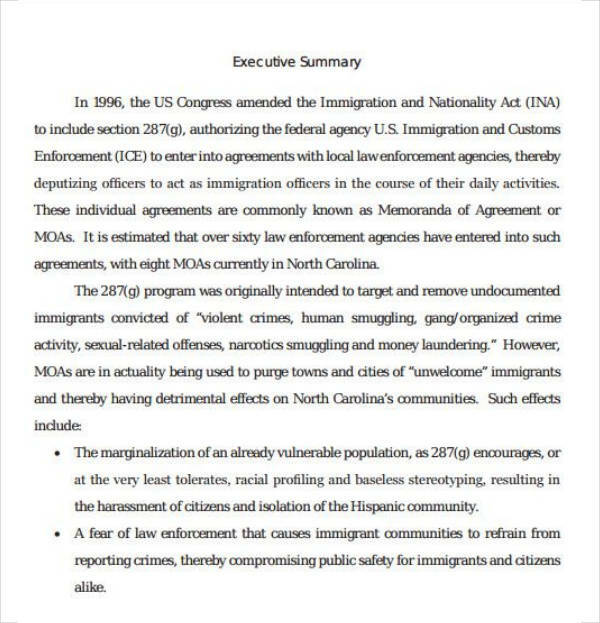 One important reminder: an executive summary should never be more than two pages long. 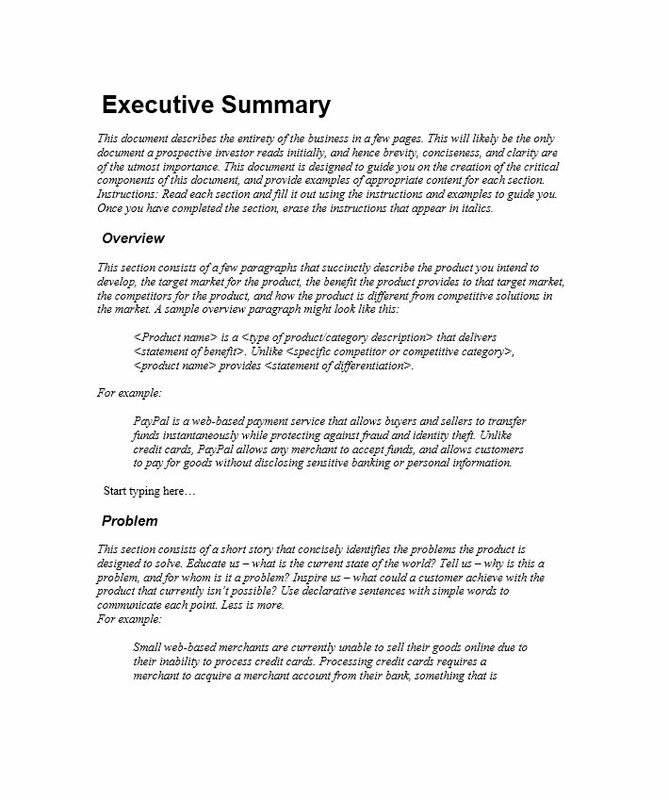 Even two pages already seems like a stretch, as you are only providing a summary of your marketing plan. You may also check out annual marketing plan examples. In the first method, the question relating to having a unique partnership equates if your business organization is currently in a partnership or merger with another company. The unique partnership is not merely a partnership between your company and another, it is a partnership that results in high revenues, product differentiation, and large market shares. You might be interested in event marketing plan examples. 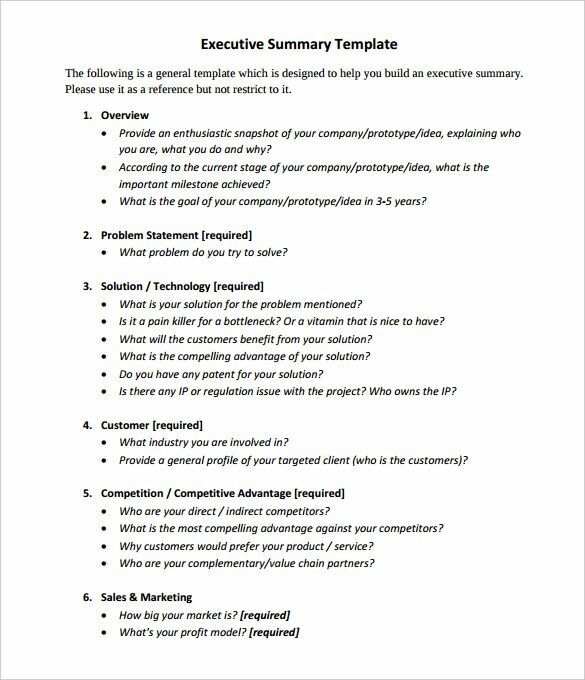 The next question, which asks, “Do you already have customers and a competitive advantage?” answers if you’re already producing or manufacturing products for your target market and if those products create a competitive advantage for your business. If you’re still starting out, you can predetermine your target market and competition through a market analysis. The third question, which asks if you have patents or using a specific type of technology, basically equates to your business having patents or using technology that aid to the overall effectiveness and efficiency of your products. Getting a patent is not necessary, but it can aid your company if you are introducing a new product in the market. You may also see product marketing plan examples. The last question meanwhile, which asks, “Is your marketing plan special in any way?” directly answers to your marketing plan as a whole. The “special way” translates if investors see something special in your marketing plan that will aid them in their decision to invest or not. 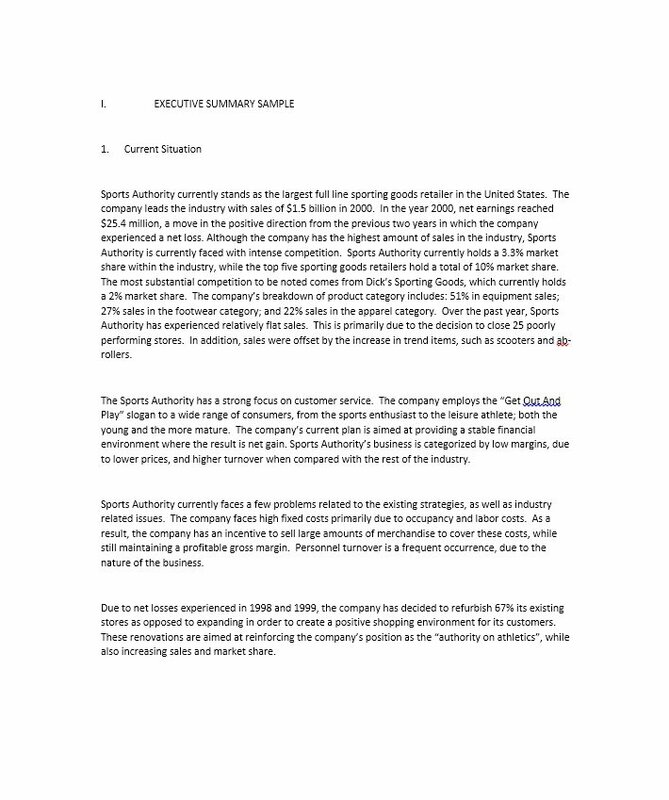 The second method meanwhile in creating an executive summary follows a more structured approach. The executive summary is divided into four sections: company description summary, problem, solution, and “why now?” A company description summary is essentially a short profile of your company (your products, customers or clients, company history, financial capabilities). 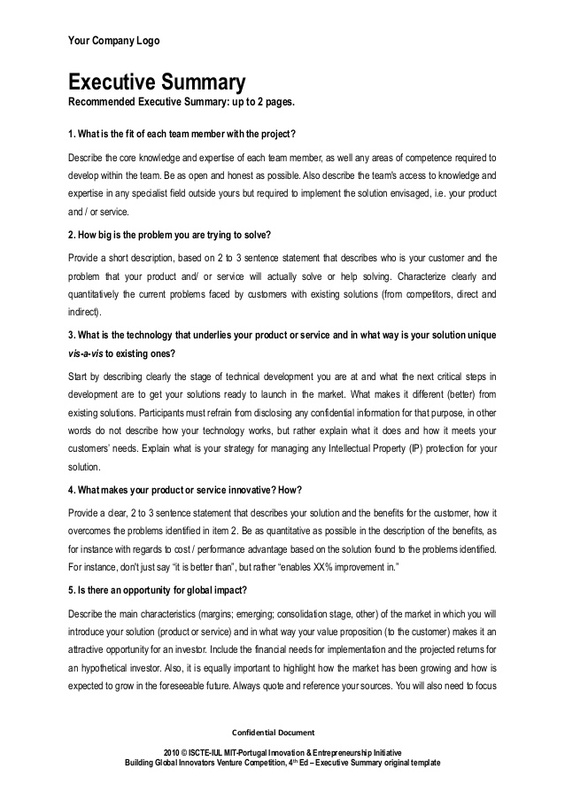 The problem meanwhile identifies the hole or gap in the market and the solution is your answer on how to fill that gap or solve a customer need. The question “why now?” makes your executive summary timely and creates an urgency for the reader to quickly act on your marketing plan. 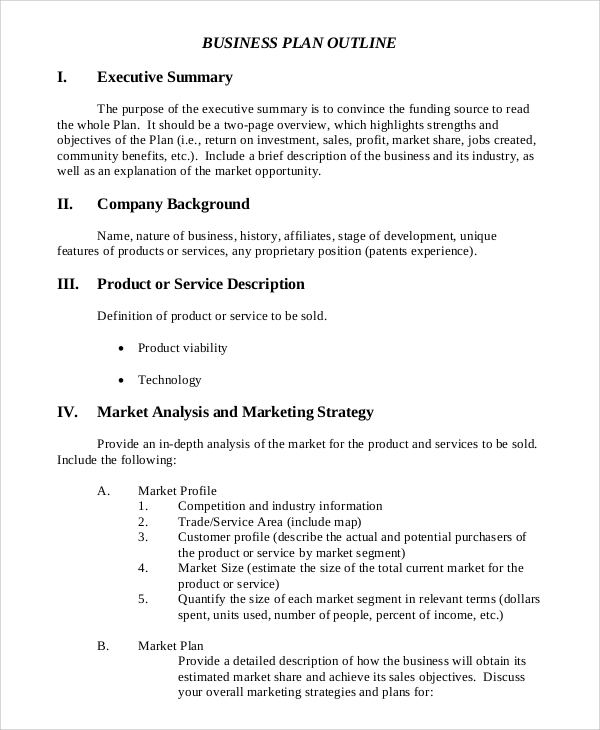 An executive summary is needed for any business document, most especially a marketing plan. Writing an executive summary may not take up too much of your time, but incorporating the wrong information can create negative results for your entire marketing plan. 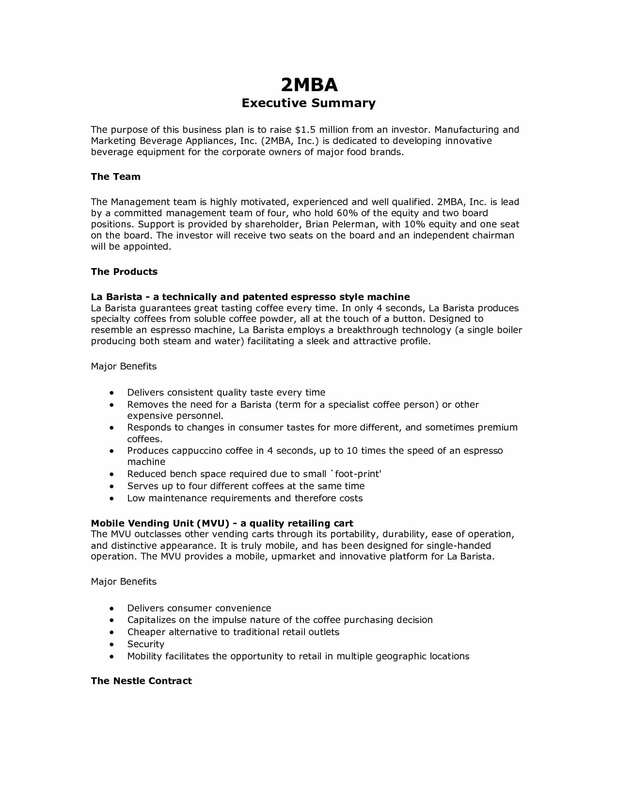 We hope the examples we provided will be very helpful as you will make your own executive summary.